The Seahawks haven’t quite had the history of great players like some of the other franchises, but then again, they have only been around for 36 years. Today, we sit back and take a look at the “10 Best Seahawks Running Backs of All-Time,” and we give you 10 to 6. 10. Dan Doornink – This bruiser was a fullback, as he started his career with the NY Giants. In playing most of his career with the Hawks, he put up 1530 yards, playing with the Hawks from 1979 to 1985. Doornink ranks eighth in Seahawks’ history with 1530 rushing yards, and his best season for them was in 1979, when he rushed for career highs in yards (500) and rushing TDs (8), and added 54 receptions for 432 yards and one more touchdown out of the backfield. 9. Maurice Morris – He joined the Hawks in 2002, and had a couple decent seasons, mostly as a backup who would shine when he was put in the game to give someone a breather or when there was an injury. He ranks seventh in team history with 2612 rushing yards, putting up his best season in 2007, filling in for the injured Shaun Alexander. In 14 games that season he rushed for career highs in yards (628) and rushing scores (4), with 23 catches for 213 yards and one more touchdown as well. 8. David Sims – He played three seasons with the Hawks from 1977 to 1979, and in those seasons rushed for 1,174 yards and scored 19 touchdowns. He could have been so much more, but his career was cut short by a neck injury. The fullback ran for a career-high 752 yards and 14 scores, before his time as cut due to injury after just three games in the 1979 season. He also had 46 catches for 399 yards and four touchdowns in his Seahawks career. 7. Sherman Smith – Smith was really the first star RB for the Hawks, as he was around from 1976 to 1982. He was the first Seahawk to rush for 100 yards in a single game, and it came in the Hawks first ever win, a 30-13 win over Atlanta. 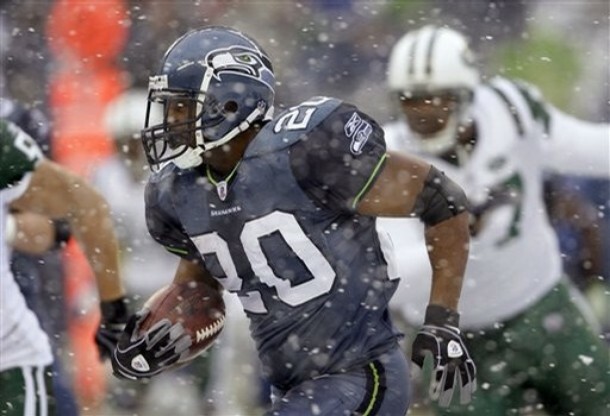 He rushed for 3,429 yards and 28 touchdowns in his seven-year Seahawks career. He was a quality back that never got the headlines he deserved. 6. Lamar Smith – Seems like back to back Smith’s isn’t fair, but that’s what it is. Smith was a journeyman back who started his career in Seattle, playing there from 1994 to 1997. 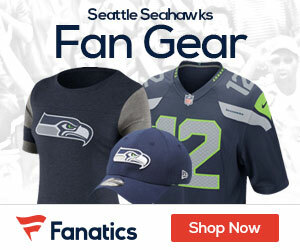 He still is tenth in Seahawks’ history with 1286 rushing yards and his best season with the team was 1996, when he rushed for 680 yards with 8 rushing scores, adding 9 catches for another 58 yards as a receiver.